Oh Brussels Sprouts how I abhor you! 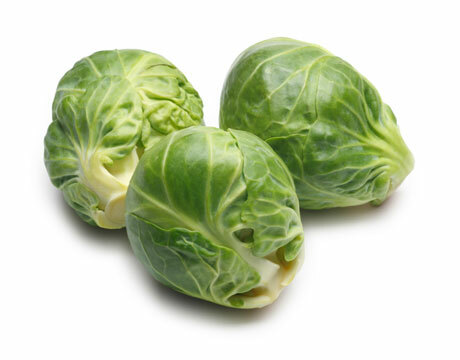 I care not that Brussels Sprouts reduce the risk of breast, prostate, and colon cancers, lower cholesterol and prevent constipation. Give me prunes any day! I will never forget sitting at my auntie's table, sixteen years old. I was away from my family, on the other side of the world in Canada facing Brussels Sprouts. Not since the days of enforced silverbeet-and-sprout eating at my Nana's house had I stared down those mini-cabbages. The smell alone made me want to retch. Don't blame me for gagging. Blame the Brussels Sprouts! "Oh for goodness sake!! Stop that right now! Hold your nose! You're not leaving til you've finished them," my auntie scolded, unimpressed by my performance. Blinking back tears I meekly pinched my nose and forced a sprout into my mouth. Finally my auntie backed down. I stumbled away from the table wiping my mouth. The battle was won. But I lost the war. (My auntie cut short my year-long-trip and send me home to New Zealand after just three months. 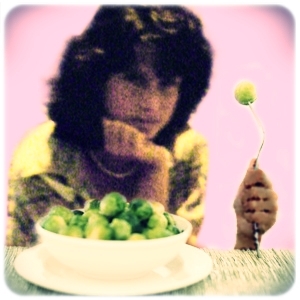 But from that day to this no brussels sprout has since passed my lips. Or crossed the threshold of my home. What food do you hate most in all the world??? With ya all the way on this one! They're banned in our family too! I'm thankful my mum hated them so never dished them up either. Mind you the homegrown silverbeet with lots of extra hudden nutrients a.k.a stray bugs we'd always end up crunching on was just about as bad I reckon!!!! Oh Simoney that is TERRIBLE!!!!! ok the food I most am repulsed by would be any sort of organs...YUK!!!! Hahaha - love your writing! We love them here... I add some sugar to the water when boiling (although I forgot the last time and they were hard and disgusting and hubby just said... "These taste pretty yuck"). Crack me up Widge - we love tinned spagetti too! Hahaha, I had such a laugh and can SO relate. According to my husband they are great but since I do the shopping and the cooking...there ain't no way they go in my trolley or my stove! I don't mind them at all - but pineapple does to me what they do to you... even the smell makes me gag! Yuck!!!!!! Thankfully Hubby is not a big fan of it either, although he'll eat it if it's around - so no arguments in our house about me never buying it or cooking with it! I think Id try anything once. Some chefs can make something yucky and turn into something nice. I just cant stomach too much chilli, otherwise I game for anything. Im not a fan of the little green cabbages either....but would gladly eat them over parsnips or broad beans - YUCK!!! Oh, poor sprouts - I love 'em! I totally love sprouts! But I loved your poem just as much. So all is forgiven and forgotten. Brussels sprouts are banned in my house too. They are nasty. The very name 'brussel sprouts' conjures up horrors for me. I like the way you described it as tasting like dirty socks. I wonder how you knew how socks taste hee hee. I will confess, I just recently tried brussel sprouts for the first time, grilled and heavily seasoned and they weren't too bad. (Sorry!) But I'm the one who hates watermelon, so take it with a grain of salt! Awesome. Post. And I'm with you. I really don't understand how anyone can like those little cabbage things. Ick. When you're right; you're right. My mom only served them one time. I don't think she really liked them either. My husband thinks they're yummy. Me? Frozen, they make good projectiles. He makes them for himself. You'll think I'm weird, but I love brussels sprouts. But they have to be fresh, not frozen, and sauteed in olive oil with a tad bit o'sugar and some sea salt. Yummo! I hear ya!~ I actually tried them a couple of weeks ago just to see if they tasted any better as an adult, nope! They're still just as nasty. I'm thinking the same thing with liver. I haven't tried it in about 30 years, but I'm sure it's just gross and icky. Some things are just not meant to be eaten, especially by picky kids. The first time my kids try these foods, they are going to be adults, so they can keep an open mind.